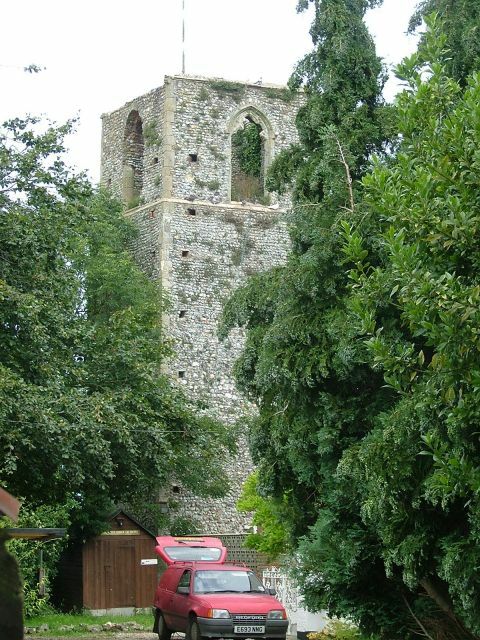 As discussed in the introduction, Norfolk had too many churches after the Reformation; the change of use from sacramental space to preaching house made a great swathe of them redundant, and Bastwick was one of them. 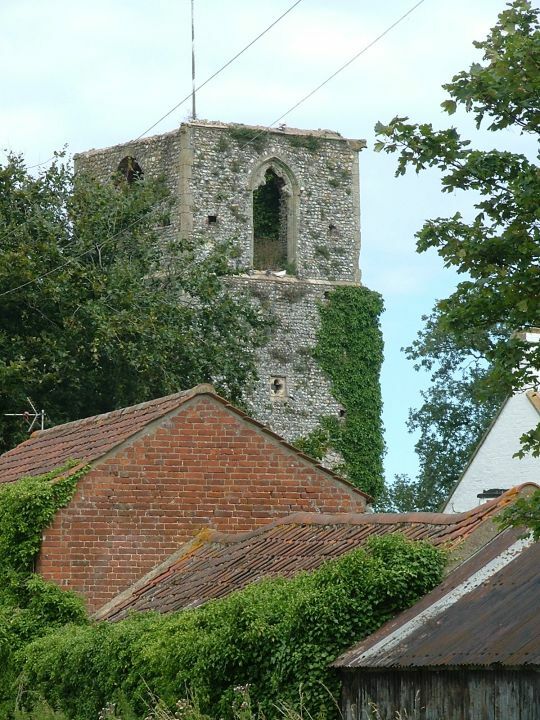 Only the tall 14th century tower survives, looking rather sorry for itself on the edge of this tiny village. About a hundred years ago the tower was converted into office space with floors and ceilings, but it is now a ruin again. 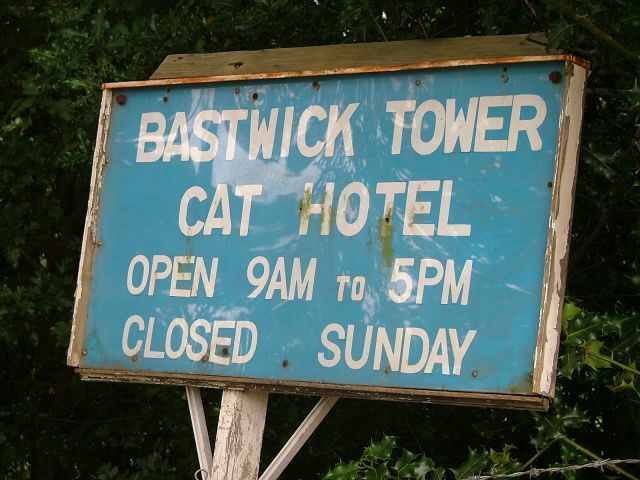 The buildings around it proclaim themselves a 'cat hotel' - I thought this must be some kind of cattery, until I noticed the opening times, which suggested the delightful idea that this really was a seedier type of place where cats could come for a discreet spot of lunch, or even for a surreptitious liaison, renting a room for an hour or so.